I have a confession...I occasionally hide vegetables in other foods. It's not just for the kids either, my husband and I both grew up in meat and two veg families and don't really approach out veggies with relish. But vegetables are so good for you, so to ensure we get our 5 serves a day I try to include vegetables where and when I can and in the most appetising way possible. 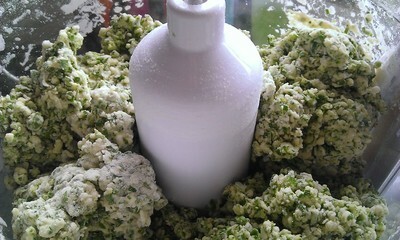 This recipe is one of those times where the green goodness has been packaged up in a more welcome form. 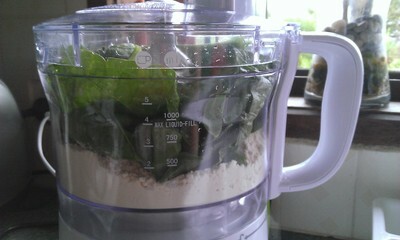 Put the flour, spinach and salt into a food processor and process until the leaves are finely cut and the flour takes on a green tinge. 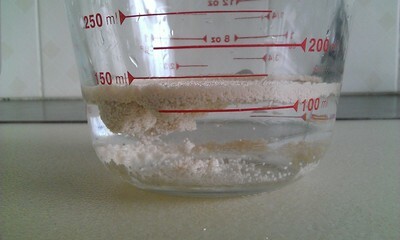 Give the yeast and water a quick mix with a fork. 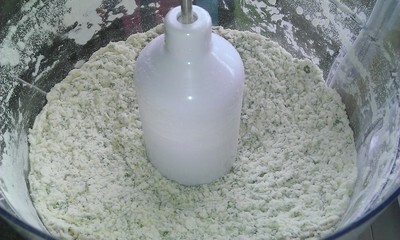 With the food processor running pour the mixture into the flour in a thin stream. Keep the processor running until the contents just combine to form a soft dough. Kneed the dough for 5 - 10 minutes until a soft, smooth, elastic dough forms. At this stage it will look like a giant pea. Doesn't it just scream healthy? Put it into an oiled bowl and leave to prove in a warm spot for about an hour or until doubled in size. 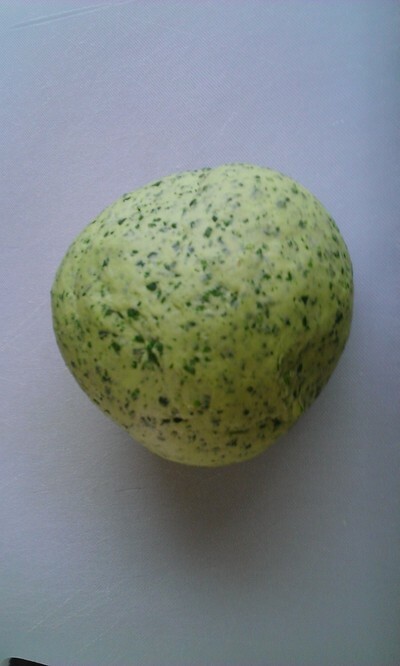 Once the dough has finished proving turn it out onto a floured surface and press down with the palm of your hand. Roll out until about 5ml thick (that's about 1/2 of the pink bit of your thumb nail - just to save you getting out the ruler). 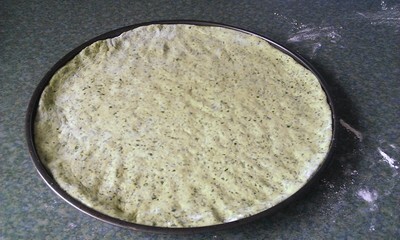 Transfer to an oiled pizza dish and press out to fill the dish, making sure the outer edge is slightly thicker. There you go, pizza dough. Add your toppings (check out my BBQ chicken recipe if you need inspiration), and cook at 220C for 15 - 20 minutes. 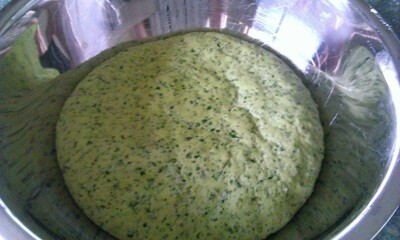 The pizza base will be green, but it will also be delicious and has no hint of a spinach taste.